The surreal design of this clear resin cupboard knob will bring warmth and brightness to your home. The clean resin material and floral pattern within play with the light that passes through. Brighten your homes atmosphere with the floral motives of this lovely cupboard knob. Make it a colourful decoration to your wardrobes and dressers or even jewellery boxes to add a touch of the outdoors. 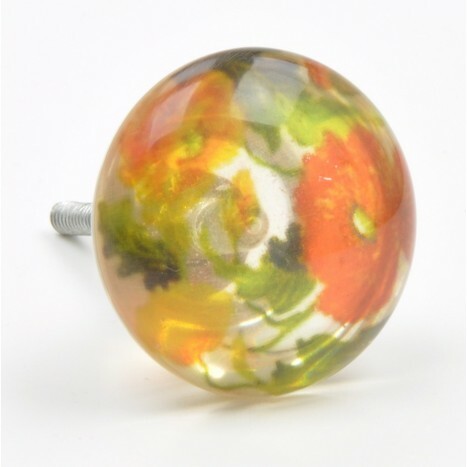 Tags: clear flower knob, flower resin knob, colourful flower knob, round acrylic flower knob.